Syria's army and allied fighters have regained most of the territory they lost during an assault launched by rebels and jihadists earlier this month. BEIRUT: Syria's army and allied fighters have regained most of the territory they lost during an assault launched by rebels and jihadists earlier this month in the country's centre, a monitor said Friday. 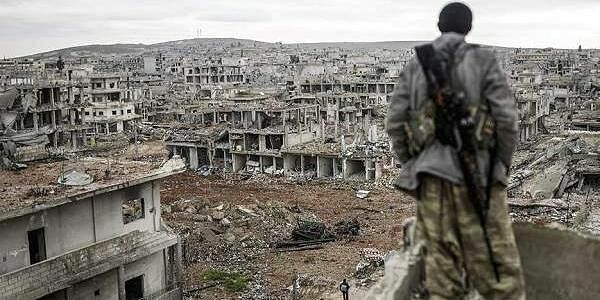 "The regime has recaptured 75 percent of the territory it lost in the north of Hama province," said Rami Abdel Rahman, director of the Britain-based Syrian Observatory for Human Rights monitor. An array of factions, including an alliance headed by a former Al-Qaeda affiliate, launched an assault on government positions in Hama province on March 21, seizing several strategic areas. But after a string of losses, the regime sent significant reinforcements to the region, the Observatory said, and has been able to reverse most of its losses, backed by heavy air strikes from ally Russia. The factions involved in the assault still hold a handful of newly gained areas, including the town of Suran, which has changed hands several times since the Syrian war began in 2011. Hama province is of strategic importance to President Bashar al-Assad, as it separates opposition forces in the northwestern province of Idlib from Damascus to the south and from the regime's coastal heartlands to the west. The Observatory said the fighting had killed dozens on both sides, but was unable to give a precise toll. Syria's opposition has accused the government of using "toxic substances" in its battle to repel the assault. On Thursday, air strikes on several areas in the north of Hama province left around 50 people suffering respiratory problems, according to the Observatory, which could not confirm the cause of the symptoms. The Syrian opposition National Coalition cited doctors in the area reporting "symptoms that included frothing at the mouth, pinpoint pupils, shortness of breath, burning eyes, and general weakness". Syria's government agreed to turn over its chemical weapons in 2013 and joined the Chemical Weapons Convention. But there have been repeated allegations of ongoing chemical weapons use, and a UN-led investigation has pointed the finger at the government for at least three attacks involving chlorine bombs in 2014 and 2015. More than 320,000 people have been killed in Syria since the conflict began in March 2011 with anti-government protests.